Curious to explore rural Quebec for the first time? 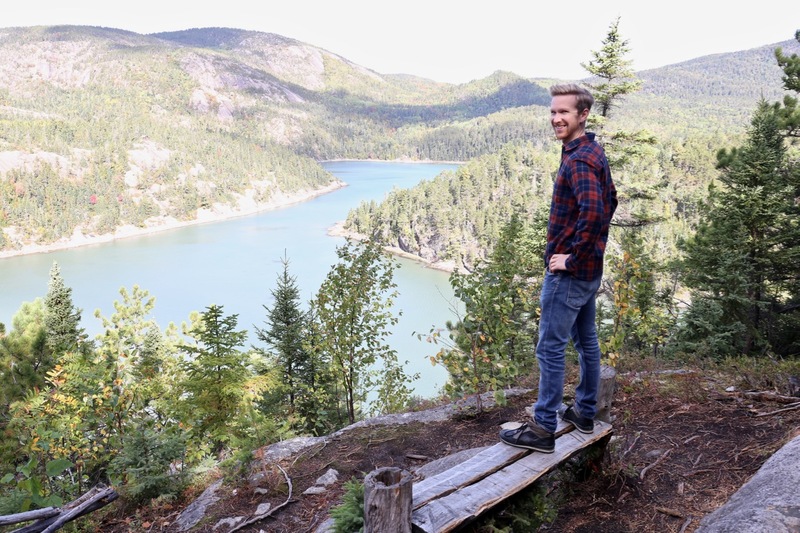 After spending the last few years readying to romanticize myself for an epic road trip of Charlevoix I spent four nights zig-zagging across the regions multi-coloured landscape this autumn and can confirm the place and its people quickly stole my heart. Located just an hours drive east of Quebec City, Charlevoix is nestled between the provinces historical capital and the jaw dropping fjords of Saguenay. It’s here you’ll find award winning luxury hotels, swoon-worthy spas, awesome art galleries, awe-inspiring nature trails, decadent restaurants, and a colourful collection of producers offering everything from organic lavender, duck rillettes, creamy ewe’s cheese and the world’s only tomato wine! Le Germain Charlevoix in Baie-Saint-Paul is a charming country hotel which blends a chic urban vibe with a farmhouse aesthetic offering visitors a perfect retreat from the hustle and bustle of the city. The clean lines and contemporary style of Le Germain Charlevoix Hotel’s property are found on the site of a former farm belonging to the Petites Franciscaines de Marie, a religious congregation. Great care was taken to preserve the link between past and present, with each building on-site paying homage to the style of those historic farm buildings. 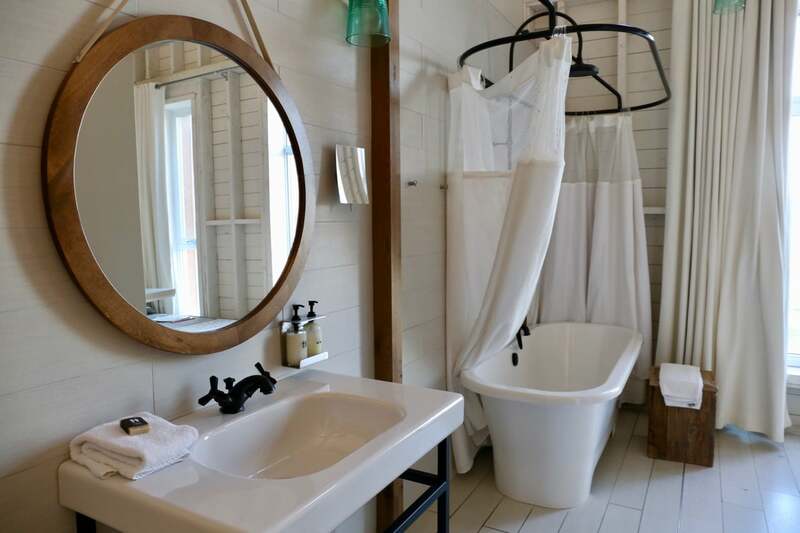 The most instagram-able of the hotel’s posh pads is The Superior, featuring plush queen sized bed, relaxing lounge, antique soaker tub, rain shower, sky-high ceilings, and pretty views overlooking the farm. Amenities include free wifi, goose down comforter and feather pillows, 300 thread count bedding, HD flat screen TV, Nespresso coffee machine, techy work station, artisanal toiletries, comfy cotton bathrobes and heated bathroom floors. For more than 115 years, Fairmont Le Manoir Richelieu has dazzled visitors who come to the castle-inspired hotel perched over the mighty St. Lawrence River to explore the beauty and bounty of Charlevoix. 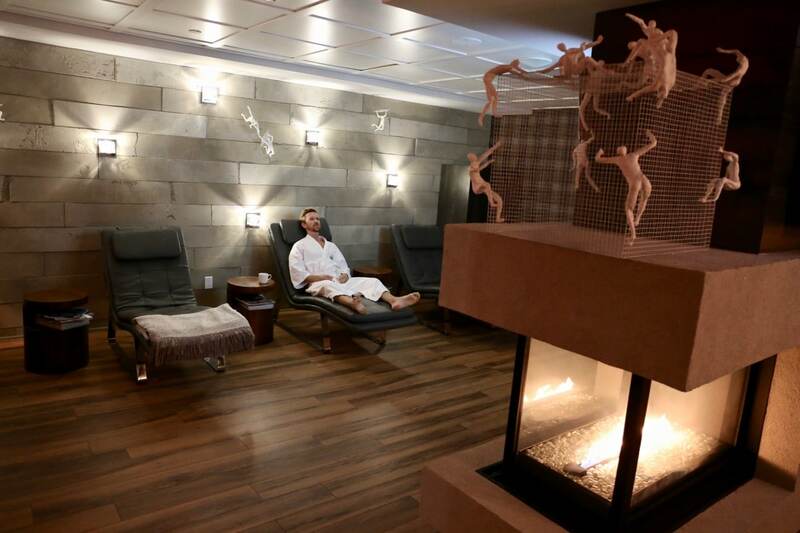 If you’re looking to indulge in a slice of rest and relaxation slip into Fairmont Le Manoir Richelieu’s Moment Spa. The award winning spa features 13 treatment rooms, 3 couples rooms (romance me now!) and a well appointed relaxation room complete with bustling fire place, wellness snack station and two neurospa therapeutic seats. Book yourself a classic therapeutic massage to get out all the kinks or indulge in the spa’s signature Elixir Ice Cider Body Wrap. Be sure to bring your bathing suit along so you can enjoy the outdoor and indoor swimming pool and jacuzzis which are heated year round. 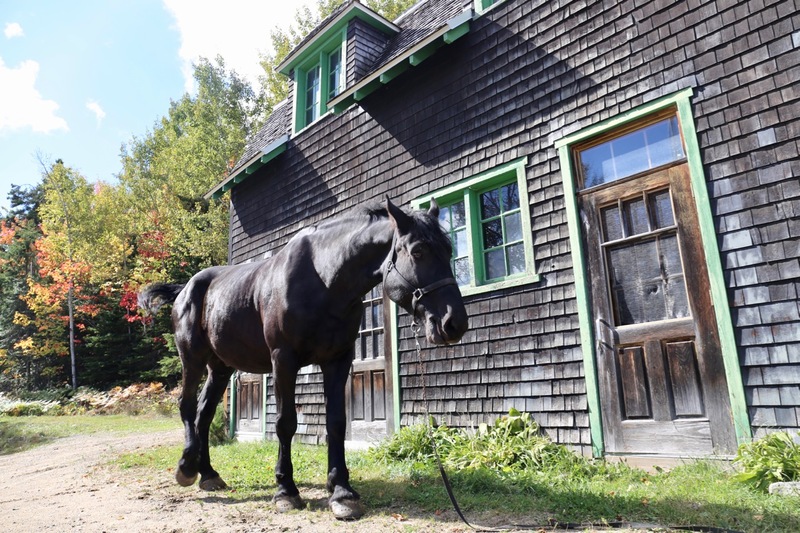 Fairmont Le Manoir Richelieu has played home to horse stables ever since it opened its doors. Horse drawn carriage rides are still a celebrated tradition at the hotel: in the summer guests can enjoy a scenic tour of the property while in the winter months carriages are swapped for a slay which slide over soft powdered snow. 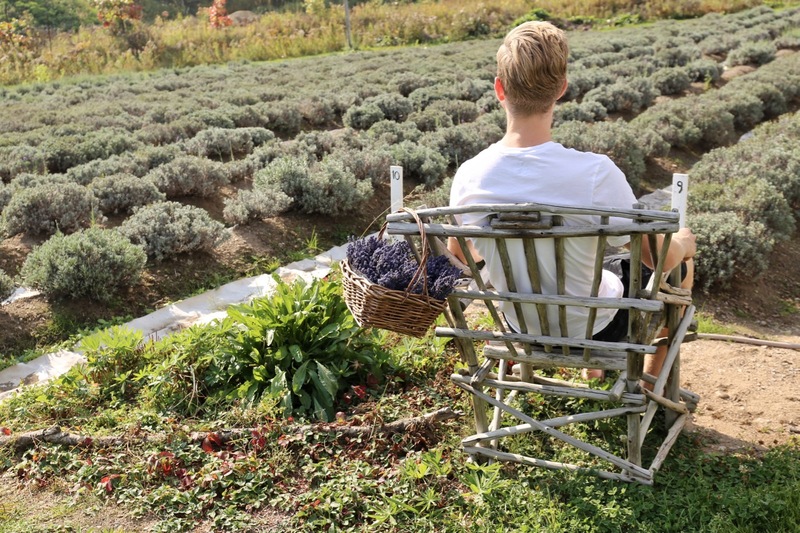 Those with a penchant for perfume get a real thrill when visiting Azulee Organic Lavender Farm. Located on the site of a quaint Charlevoix farmhouse dating back to 1844, it’s a natural gathering place for migratory birds, ducks, bees and butterflies. The small meadow is perfumed with sweet lavender which is harvested and sold in many forms in a petite gift shop. Lavender lovers will find happiness via bright bouquets, soaps, lip balms, tea, honey and sweet treats like lavender infused brownies and shortbread cookies. Domaine de la Vallee du Bras produces an aperitif wine that is unique to the world. The result of a Belgian family’s passion that has bridged four generations, since 1938, the Domaine’s products are prepared using a wild variety of organic ancestral tomatoes. Sold under the label Omerto, an homage to its creator, Omer, the great-grandfather of Pascal Miche. Pop by for a visit and you’ll find yourself amazed by what wondrous wine one can create when substituting tomatoes for grapes. 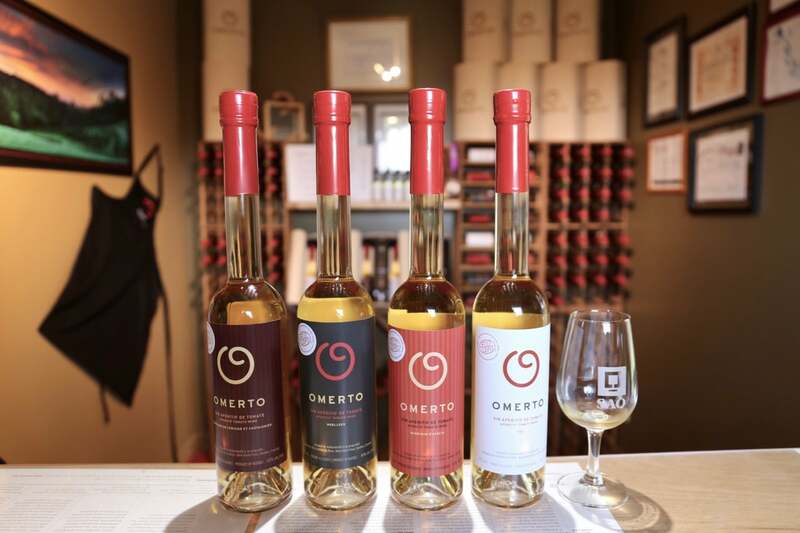 Sip all four of Omerto’s offerings and you’ll find a favourite both dry and sweet. 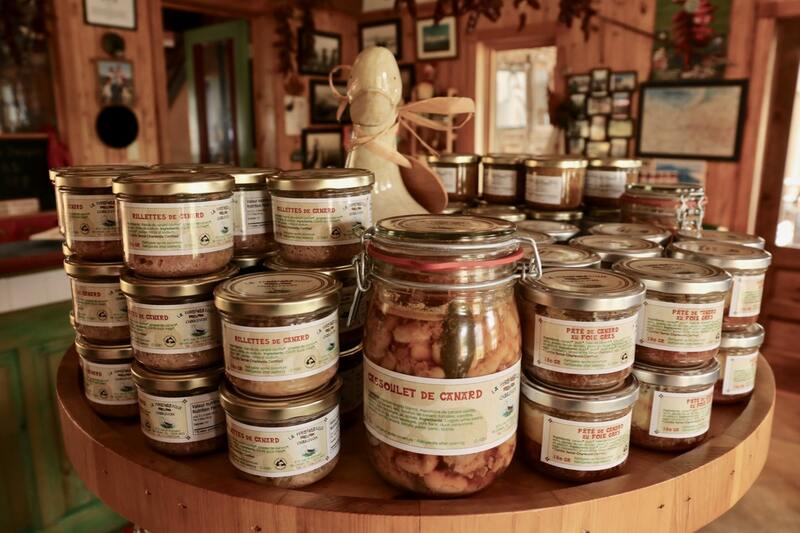 La Ferme Basque de Charlevoix is a small scale producer of free-range ducks that are raised outdoors. Visit the farms gift shop and you’ll find yourself in duck heaven. The space is filled with petite jars packed with freshly prepared cretons, rillettes, foie gras and mousse. Skip over to the fridge and you’ll find vacuum sealed duck legs and tubs of duck fat perfectly for cooking up at home. Craft beer lovers looking for a mid-afternoon sip and snack grab a seat on the patio at MicroBrasserie Charlevoix. It is here you’ll find the acclaimed Dominus Vobiscum and Vache Folle beers brewed along with seasonal drafts (including our fave Sour French Kiss with Cranberry). 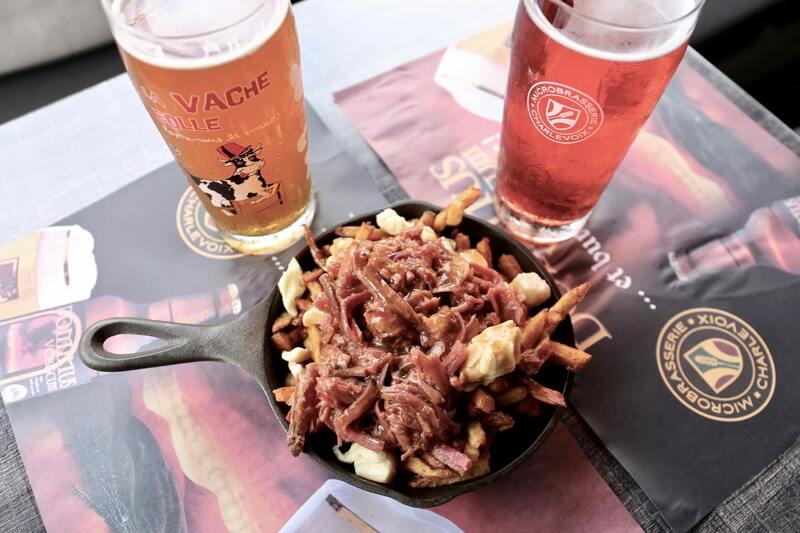 Soak up your suds by digging into one of the restaurants creative poutines (the menu offers a selection of toppings and sauces for Quebec’s most iconic dish). The Smoked Meat Poutine slathered in beer gravy certainly hits the spot! 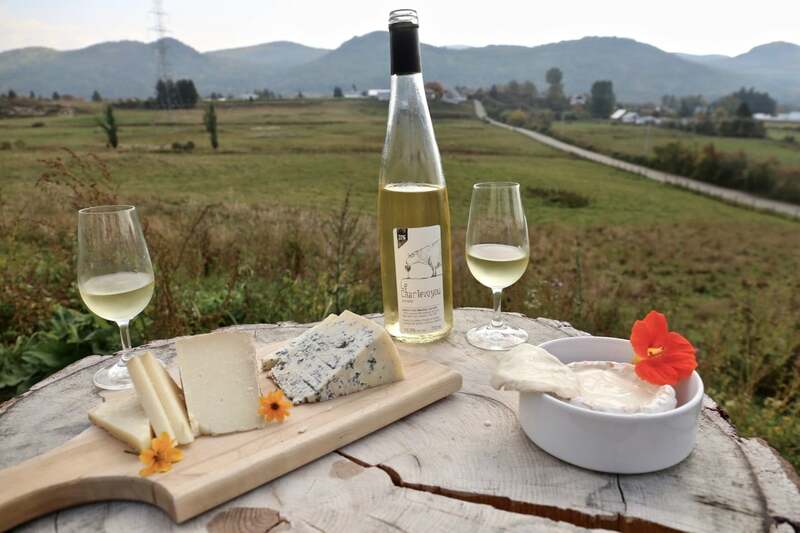 La Maison d’affinage Maurice Dufour has been operating its cheese farm since 1994 and is considered one of Quebec’s most celebrated producers. Since 2005, the sheepfold dairy farm has been open to visitors and today features a lovely gift shop (where you can pick up meat, cheese and the family’s own wine) as well as a fine restaurant featuring a patio that sits perched over a wide open field totted with wooly sheep. Highlights include The Secrets of Maurice (a spreadable revelation), Le Ciel de Charlevoix (an innovative blue cheese) and the family’s signature Le Migneron de Charlevoix (an ivory white paste which tastes of sweet butter and hazelnut). Java junkies looking for a unique coffee experience should be sure to wake up to the world at Cafe Charlevoix. The place is a popular hot spot for locals in Baie-Saint-Paul as the owner roasts his own beans on site, offering visiting coffee connoisseurs a unique taste of place. 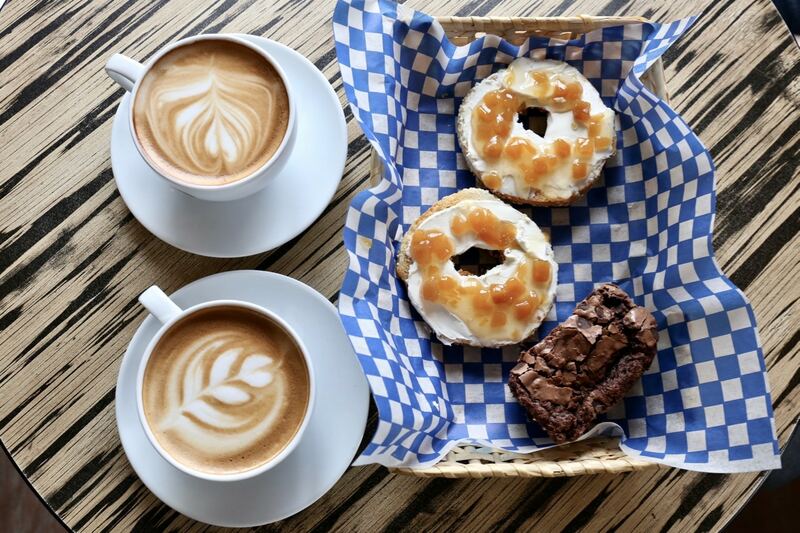 Start your morning by sipping frothy cappuccino and nibble through cream cheese and peach preserve slathered bagels from Montreal’s famed St. Viateur bakery. 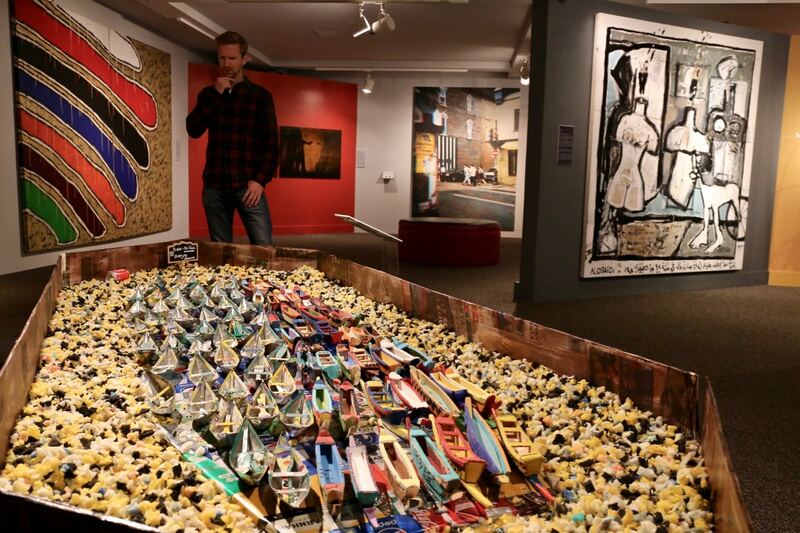 The Baie-Saint-Paul Contemporary Art Museum is recognized for the vast scope of its year-round national and international contemporary art exhibits. Since 1982, the International Symposium of Contemporary Art of Baie-Saint-Paul has been putting its imprint on cultural life in Quebec. The fostering of direct contact between art and the public is the founding purpose of the Symposium and with great success it has features over 400 artists and 550 works over three decades. Isle-aux-Coudres is accessible via a free ferry service and a must-do for anyone road tripping through Charlevoix. The island’s ring road is just 23km and the sights here can easily be seen in a few hours. After landing on the island enjoy the scenic drive to The Mills of Isle-Aux-Coudres. The historic site features a watermill and windmill that showcase how early settlers prepared flour in this old fashioned mill. Guests learn about the history of the islands people as well as how they ground wheat and buckwheat into flour. 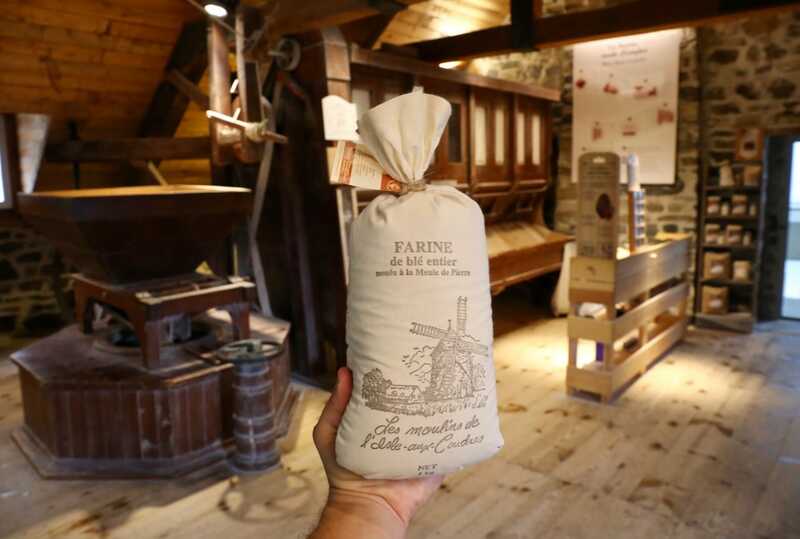 You can also purchase a bag of freshly stone-ground flour at the museums souvenir shop. 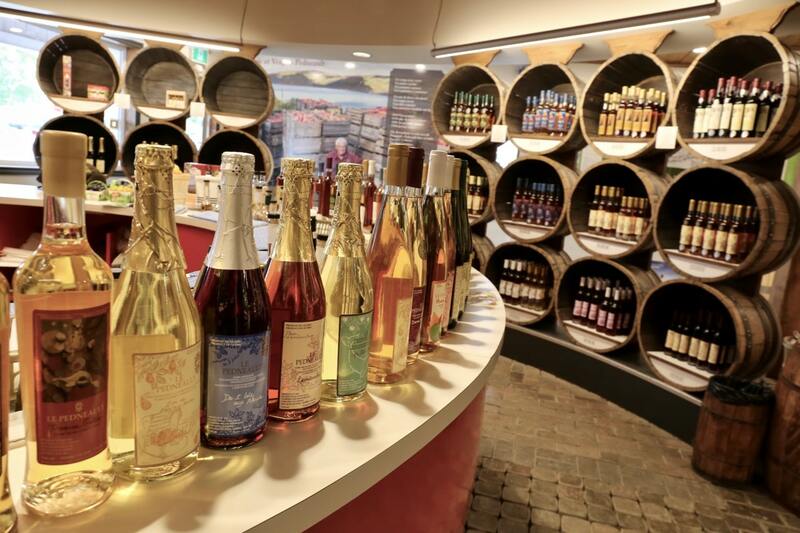 Sip yourself silly through 27 varieties of cider at Cidrerie et Vergers Pedneault. The Pedneault family have been running their apple orchard since 1918 when the government offered a grant to plant the first 300 apple and fruit trees on their ancestral land. Visit their tasting room (the bar is hilariously the shape of a giant red apple) and take the time to sample through a choir of craft ciders which feature artisan apple, pear, plum, Saskatoon berry and cherry. 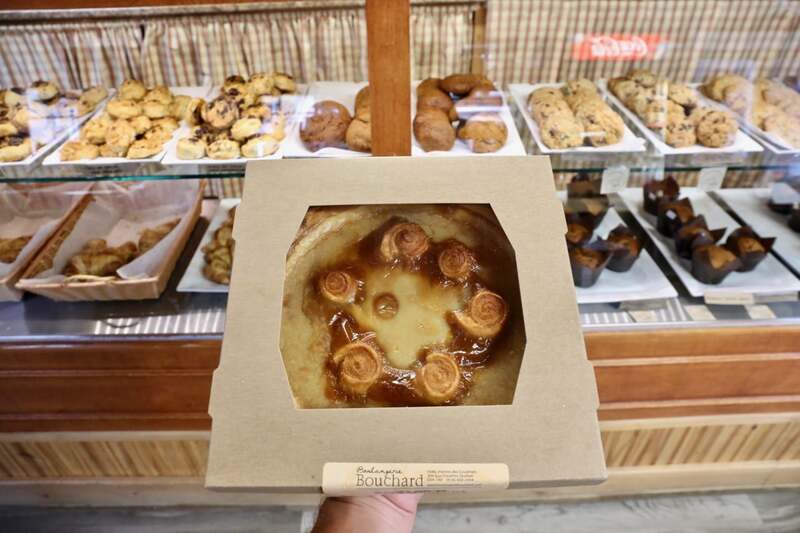 Before heading back to the ferry enjoy a snack stop at Boulangerie Bouchard, the islands infamous bakery. Celebrated for over 70 years for its pâtés croches, delicious danishes and other musts like Tarte Grand-Mère (pictured above) and sugar pies, the bakery also prepares artisan breads and a wide range of homemade products: pâtés, tourtières, confits, ketchups, rillettes, cretons, and sandwiches. Baie-des-Rochers is a beautiful bay squeezed between two mountain walls which reveals an island in its centre accessible only during low tide. A network of trails ideal for hiking leads to a panoramic peak or unsuspected beach. When the tide is out several aquatic species such as starfish and sea urchins can be seen. The road to Port-au-Persil dives down toward a pebble-filled cove offering visitors a breathtaking panorama. The picturesque place is a must-do for photography fans as it features a petite bay, winding river and rushing waterfall. 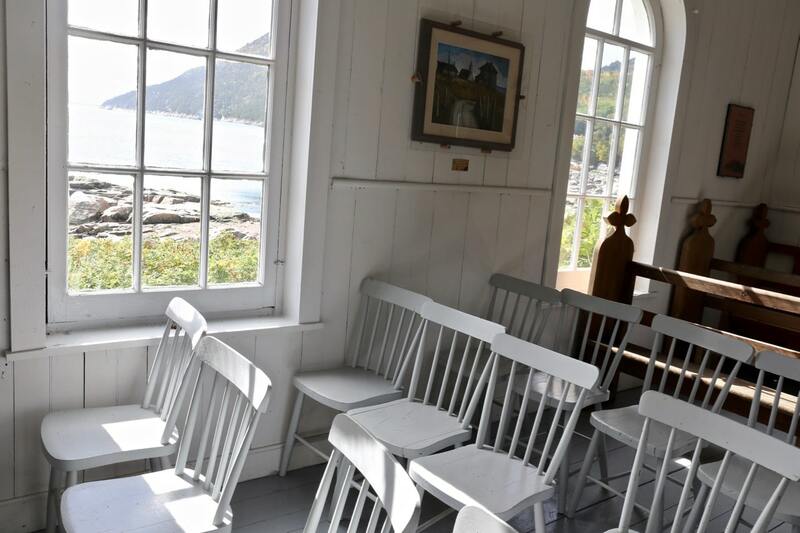 The small presbyterian chapel perched above the waves dominates like an icon, a humble hall featuring an ancient organ and antique chairs which offer stunning views over the beach below.